Birzeit University capped 2018 with a number of achievements and awards that showcased the innovative spirit of its students and faculty members. 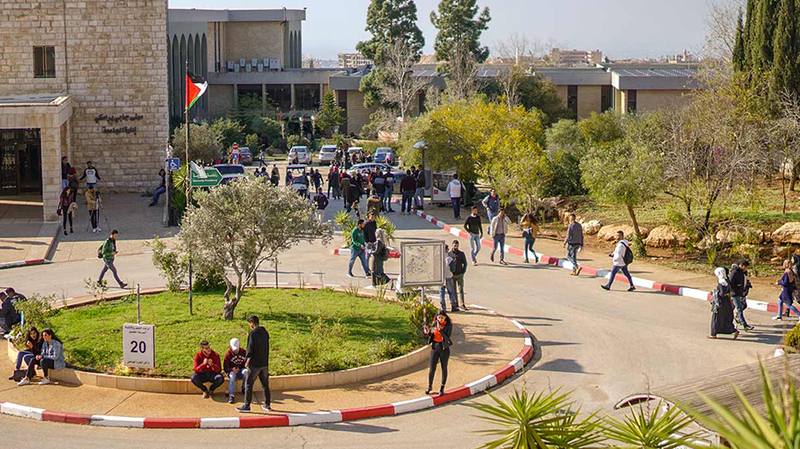 The university finalized a new engineering program that focuses on infrastructure and construction; ranked first in environmental sustainability in Palestine; and received national and international awards, courtesy of its pioneering students and professors. Protecting and sustaining the environment has always constituted one of Birzeit University’s main goals since its inception in 1924. The university’s green efforts continue today with the installation of five solar-power stations on campus, which provide 442 kilowatts and cover 22 percent of the university’s energy needs. Starting in the 2019/2020 academic year, the new master’s program in civil engineering will hone the skills of engineers in infrastructure and construction planning, design, and implementation, in addition to expanding their efforts in research, academia, and public and private institutions. The graduation project, carried out by Raghad Saqf Al-Hait, an architectural engineer who graduated from Birzeit University in 2018, explores the function of the cemetery beyond its utilitarian role and aims to exploit the potentials of the cemetery’s program, high spiritual experience, and collective symbolism to establish facts on the ground in politically-contested territories.